Replacement garage: 7 Harvelin Park, Todmorden. Demolition of existing sun room to facilitate two storey side extension: 1 Dean End, Greetland. 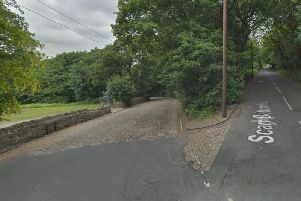 Prune two trees and fell one tree (Tree Preservation Order): Land Rear Of 3 To 18 Rose Grove Lane, Sowerby Bridge. Construction of detached tree/garden house (retrospective): Bradfives Lodge, 7 Windle Royd Lane, Warley. Two storey side extension and one storey rear extension: 11 Millside Way, Halifax. Lifting and re-laying of stone flag pathway to the Chapel with new ramped access to gate (Listed Building Consent): Chapel House, Upper Brockholes Per Lane, Causeway Foot, Halifax. Temporary planning permission for siting of residential caravan for 1 year (Re-submission of 18/00592/TEM) (Retrospective): Oaklea Farm Stables, Branch Road, Barkisland. Two storey extension to rear and porch to front: 140 Halifax Road, Ripponden. Proposed roof terrace to rear of existing dwelling and replacement garage with new first floor and proposed dwelling entrance ‘slid’ to the west to allow additional car parking space NB entrance pod design and conversion of two dwellings to one approved under planning application 15/01100/HSE: 1 Common End Low Lane, Bailiff Bridge. Separation of one retail unit into two retail units: 21 - 23 Union Street, Halifax. Demolition of existing bungalow to facilitate the construction of ten detached dwellings: 287 Willowfield Road, Halifax. Construction of detached dwelling (reserved matters pursuant to planning application 15/00892/OUT): Stansfield Hall Nursery, The Grove, Todmorden. Non Material amendment to 16/01347, Elevation finish, boundaries, landscape, mewp access and electric car charger location (Non Material Amendment): Heathy House, Heathy Lane, Holmfield. Prior Approval application for proposed single storey extension to rear, extending out by 1.47 metres, (cumulatively 4.550 metres) maximum height 4 metres, 2.8 metres to eaves: 352 Gibbet Street, Halifax. Submission of information to Discharge Conditions on application 17/01403/FUL - Conditions 6, 9, 10 and 11: Land South Of 1 Wharfedale Mount, Shelf. Flat roofed dormer: 5 Back Lumbutts Road, Lumbutts Road, Todmorden. Two storey extension to rear: Lane Cottage, The Long Causeway, Blackshaw Head. Use of land as caravan site for siting of up to 28 caravans (Lawful Development Certificate): Ladstone Caravan Park Butterworth End Lane Norland.